Filipino cineastes who are looking for fresh, edgy stories to watch this month can turn to iWant TV as Cinema One Originals drops 18 of its best movies on the streaming service. In line with the 14th Cinema One Originals Film Festival that runs until October 21, iWant TV celebrates the originality of many filmmakers who were given a voice by the annual festival. A string of award-winning and critically acclaimed movies can be streamed for free, while some movies can be streamed through a premium iWant TV access. Some of the titles that are readily available for streaming include the phenomenal rom-com hit “That Thing Called Tadhana,” the 2010 Jeonju Korean Grand Prix Winner “Ang Damgo ni Eleuteria,” which was about mail-to-order brides in the Philippines; and the 2012 Gawad Urian Best Film “Ang Paglalakbay ng mga Bituin sa Gabing Madilim,” which follows the journey of an orphan whose Muslim freedom fighter parents get killed, among others. ABS-CBN’s iWant TV has served as an online movie library for Filipinos on the lookout for high quality and box-office feature films ever since the first and only Philippine OTT streaming service started to offer more content online besides Kapamilya shows for catch-up viewing. 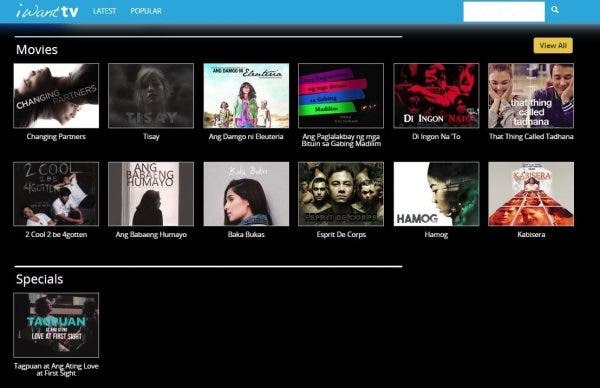 In November, iWant TV will be launched as iWant will begin to offer original movies and series, music, and concerts, among others. The launch of one of the digital properties of ABS-CBN strengthens further the company’s transition into an agile digital company.